You remember that saying, "all politics is local?" 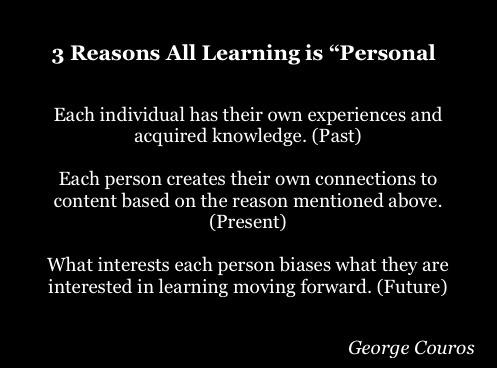 Well, in the same way, all learning is personal. George Couros writes, "Here are three reasons that struck me upon reflection of this experience. 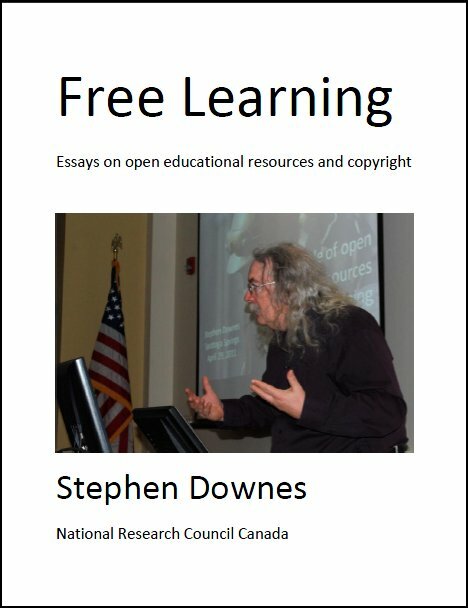 Doesn’t this to apply to all teaching and learning whether it is from the curriculum, delivered in a workshop, or watching it on a YouTube video?" Yes it does. Last Updated: Aug 21, 2018 08:34 a.m.